A cohesive brand and marketing strategy calls for a consistent and cohesive message through all marketing funnels. If your marketing strategies do not merge seamlessly, the damage can be downright devastating. Luckily, Integrated Marketing seamlessly unites all marketing channels for consistency and continuity. Why? Marketing is about nurturing potential customers. After you have nurtured those potential customers, it’s vital to keep them engaged. As a result of this engagement, customers should move easily through the sales funnel. Unfortunately, if your brand message lacks consistency, maintaining customer engagement can be extremely difficult. If you can’t keep customers engaged, they are less likely to become a loyal customer. And, that hurts your business. When a company silos their marketing and revenue streams (advertising, promotional endeavors, public relations, direct marketing, and social media, etc. ), it is difficult to know whether benchmarks and goals are being met. Therefore, if you aren’t collectively monitoring all efforts, you can’t be sure whether your efforts are helping or hurting your bottom line. And, not knowing which marketing strategies are and aren’t working can drastically and negatively affect your ROI (Return On Investment). It’s a vicious cycle. What Do We Mean By Integrated Marketing? Integrated Marketing offers a seamless marketing strategy that integrates all aspects of marketing through consistency and continuity both online and offline. As a result, customers develop a more concrete relationship with your brand. Every successful business needs a consistent message. 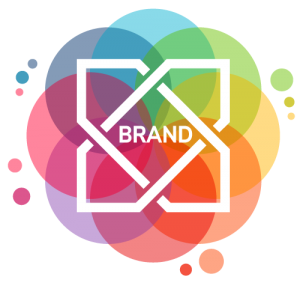 Therefore, your physical brand presence should integrate seamlessly with your digital presence. Integrated Marketing seamlessly merges all marketing funnels to ensure continuity across all communication channels. Overall, blending online and offline marketing efforts results in a more united and cohesive brand strategy and execution. Integrated Marketing offers a seamless and unified brand experience across all marketing methods. As a result, you can determine which marketing strategies are and are not providing a return on investment. Then, you can optimize your marketing spend for better ROI (Return on Investment). Here at Exposyour, we provide an integrated marketing strategy that merges inbound marketing, experimental marketing, and outbound marketing. Click here to see how they work. Marketing is implemented to reach company goals. And, great marketing should increase revenue. Chances are you good that you are paying for marketing help. And, your marketing help is probably using services that cost you money. Hopefully, your goals include expanding your customer base and generating revenue for your bottom line. In other words, when you are investing in your marketing strategy, you should always be looking for a Return on Investment. At Exposyour, we help businesses of all sizes stand out and connect with their customers. Above all, your success is important to us. Therefore, we ensure your brand visually engages your audience and gets maximum exposure. Obviously, the goal is to make your brand stand out. In doing so, we ensure that your message resonates with the market you’re trying to reach. We work with you and your team, focus on your goals, research your market, and craft bespoke strategies to attract and engage your target audience. Exposyour is uniquely positioned to develop and deliver your marketing across multiple channels. Contact us today.